I have been using this app for about 3 years now. It's easy and simple! I would recommend it! Was great until the update! Has everything I needed for my small business and fabulous customer support! I purchased this app about a year ago, and it works great. I just received an email explaining that the app will now require a $9.99 per month fee to continue using the app. I searched for a decent time clock app that was not subscription based, looks like it's time to look again. This app was worth the money before, but not worth an additional $9.99 per month. Good luck with that new business model Scavatec. I own a small restaurant and my staff clock in on our pos ipad and I can view everything from my iphone. Works flawlessly. Great app. Easy to use, If your in the construction industry there is no app out there to top this. My foremans love it no more paper work or forgotten hrs. The way we use it is simple my foremans control the time clock they clock the guys in as they start working every minute counts you will be surprised at how much money you will save. After latest update app doesn't work properly anymore. No landscape mode, just white screen. Cannot edit entries as administrator - app is freezing and has to be force quit. There was no testing done before this release. Very disappointed! This app is something I use for my small business. It's easy for employees to clock in and out. I can even send employees hours right over to account for payroll. The only issue I have is the clock within the app keeps having an errors which has caused employees hours to be incorrect. If the developer can fix that I would give it a high star rating. Great app! A must have for small businesses! We have been using TimeClock ST for over a year and it has been great! Simple system, easy to set up and use. Simple to make corrections. Reporting is clean and easy to use. We have a bi-weekly pay periods @ our business? When I go into set the date range to be bi-weekly it keeps going back to today's date, when I have "custom" selected. Is this a problem anyone else has experienced? I like it the price point and features. A few features that I'd like to have in this apps: 1. Ability to manage and edit from remote computer. Right now, I have to change, edit or add something in the ipad itself. 2. The pin feature in ipad shows all full keyboard which makes it hard to punch in pin number since they are smaller button compare to numbers only in ipod touch or iphone. 3. 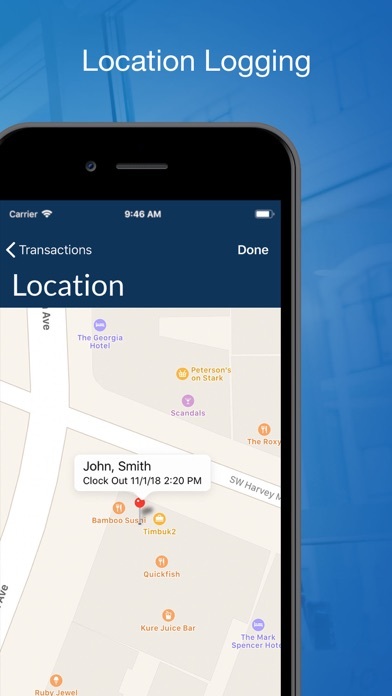 Like other reviewer says that the ability to detect out of normal transaction will be great, such as when employee forget to clock out so the hours was more that normal. And again, the ability to manage everything from remote location will be really helpful. I hope we can find these feature in future updates. Thanks! Overall App is very good and programmer is very accessible. However, without being able to track overtime (more than 8 hours a day or over 40 hours in a work week) I have to go into each day on the app (or web interface) and see how many hours over each staff member was when calculating gross pay. Would be an absolute killer app if it would track overtime with some user set parameters. 5 star app if that can be put in place, as for now, it is usable but cumbersome for real life use due to the need to hand calculate overtime. This app works great and I have used it for a few years now. Always getting updates and fast support. Really needs a feature to clock multiple employees in on crews. Please come out in the next update! I would have given it more starts but it will not let me build the report that needs to be done to be sent to our bookkeeper for payroll. Big problem! I left it there for 10 minutes and the report never came up for me to email. Please fix this! It worked great in the last version! I have been using this app for over 3 years now. It works great. I use it in 2 retail stores as a time clock and out in the field as a mobile time clock. We have over 40 employees and it has worked well over the last few years. The designer initially answered all my questions before i purchased this app, and i have not been disappointed. Highly recommend. I think every company in the future should use this for their employees! The app is easy to use and any bugs are always fixed with updates! Thank you!!! Made my life a lot easier. Won't even allow me to register, a totally waste of $8.99! Excellent app for small business! One outstanding app. Simple and easy to use. Just enough functionality without features you would never use. Very user friendly, easy to compile and send info. Awesome and fast technical support in the rare event you would need it. Highly recommend for you business! Simple, easy to use, and very cost effective. I synced 4 different devices so I can see everyone in different job locations and keep track of it online from my office easily! Can't get any better or easier. Thank you! I've had this since beta was out and still find it to be the best out there!!!!! My company just started using the Time Clock ST for all of our employees. This is the best possible time clock app available. I purchased an Ipad for the purposes of using this app. The app has great value to a business owner. You could easily spend $150 - $300 on a real time clock for employees but this has more features and is a fraction of the cost. The developer is very professional and responds quickly with any questions you may have. Bob W.
Love the app, but yesterday I received a very disturbing E-mail which looked like it came from you asking me for money. And to the tune of $50 a month - Seriously? Easy for employees to learn and use and good reporting for managers. I've been looking for a simple and affordable time clock solution for my small business for quite awhile. There are lots of options out there. While TimeClockST isn't PERFECT, it's getting better, and the developer is responsive to support/feature requests. The ability to sync multiple devices is what really drew me to this solution - and again, the sync isn't perfect, but I'm really excited at how well it does work. Another version or 2 and this will be an absolutely 5-star product. I'd love to see some updates to the sync website to allow more remote administration of devices, and there's still a little polish that could be added, but overall I'm very happy with Timeclock ST! Pros: Simple setup. Easy for employees to use. Ability to sync several devices at once. Reports are simple and easy to use. Cons: Remote administration website is still in beta, and has some rough edges. Needs more options for central administration of multiple devices. We run a small business with 10 employees. 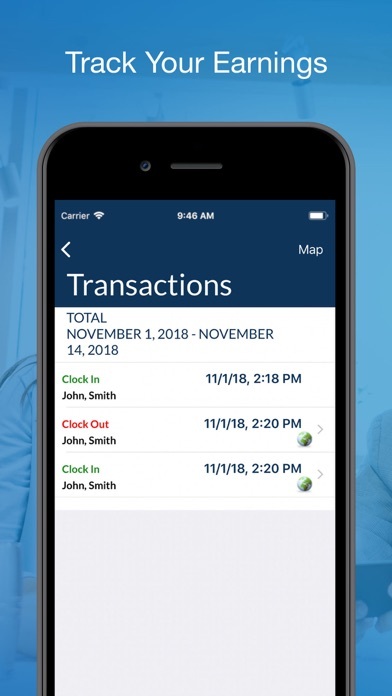 That means that we, the owners, play many roles in the business and this app definitely helps timeclock/payroll calculations to be a much simpler process. 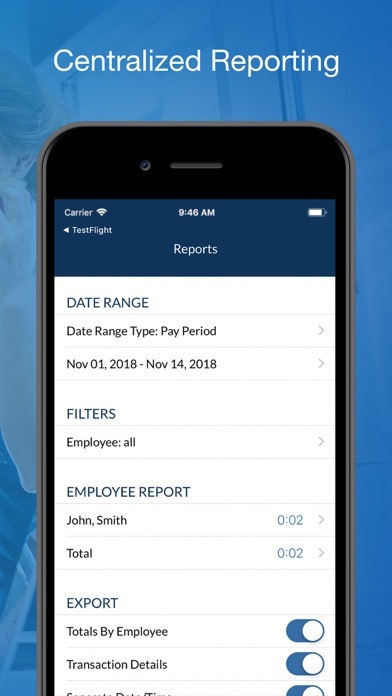 This app is easy to use, convenient by being able to access total hours and other information remotely and the developer is very on top of things. I opted to purchase a couple of the add-ons and they are well worth it. This is a terrific value. Highly recommended! Don't buy this unless you're okay with spending an additional $9.99 per month for the subscription. I wish they had been more to the point about this before I spent my $8.99 to buy the app. I'm deleting this app for good!!! Buyer Beware! The app works great for what it's intended to do. However, I'm not an admin user, and when the admin user creates a new employee on the list, the app doesn't resync quickly and add the new people to my app very quickly, even when I'm linked to Wifi and should be updating Anna synching. This may require an update or patch. This program allows us to do what no other time clock application does--synchronize punches across devices. This makes our lives much easier. Also, we can pull time from a web interface for use in completing payroll, which is huge for us. Its easy to setup, easy to transfer data and easy to pull data. Also, customer service is extremely responsive. We're thrilled with this program! In order to use you have to register and go though a bunch of steps simply to get to the free trial. Then if you like it, the software is available only with a monthly fee. Wish I knew this before I downloaded. 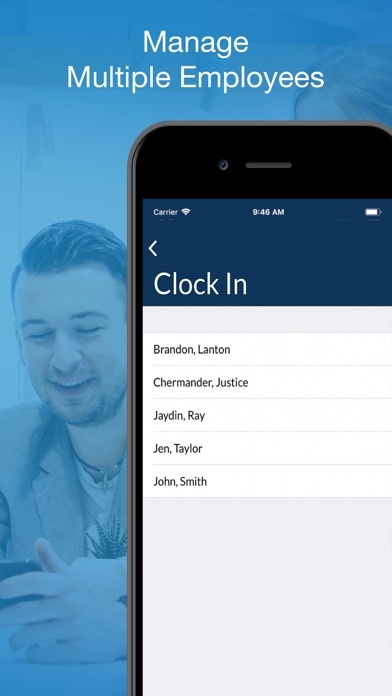 Solid time clock application that does exactly what we needed. We use it in a manufacturing setting with 20 employees and have had no issues with the transition. Few recommendations if you consider this app: -Assign each employee a pin. We used birthdays. The names on the iPad are little small so the pin helps to prevent any accidental punchins. -While entirely optional, the web service is worth the monthly cost, there are some great features on there that make the editing and exporting process very simple. -If you do go with the web service, you can integrate gross pay on there and it’ll remain independent from the devices. We like this for security reasons. -You can easily sync multiple devices. 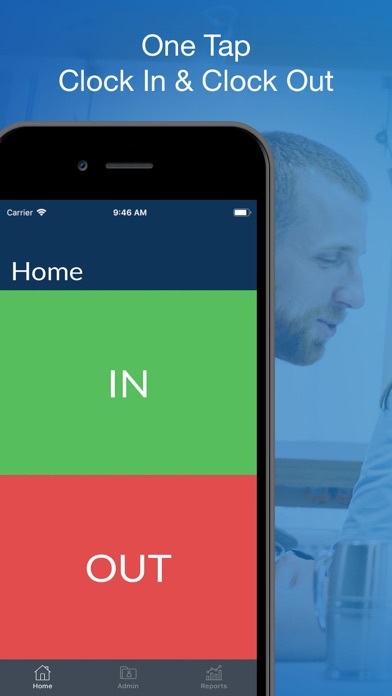 If you sync your phone, you can very easily monitor the in’s and out’s from anywhere. I've tried many time keeping app but this one is the best one by far! I've been using this app for over a year now. They have great customer service support! This app helps me know when my employer is cheating me on my work hours. When they do make an error I just email my HR the breakdown of my work week from the app and they promptly correct my time. :) I am very happy with this app! Been looking for an app to replace a 10 year old punch card machine but everything out there was much to complicated. This system is simple, easy to use and the bottom line is it just works! Employees punch in and punch out and at the end of the week I print a payroll report, saves lots of time and calculation errors. Simple to sets and easy to use.... Perfect for for my company. Paid $8 for this app one year ago. Since the last update (November 2019) the app is not working. No answer from the customer service ! Been using this app for years and loved it. Latest update does not allow clock in/clock out in landscape and app freezes when editing entries. This app is now unusable. Switching to a new time clock that works. Since this update, the app won’t open anymore. And I’m afraid deleting it and reinstalling it will make me lose five years of data. Our app updated automatically and now doesn’t work. Our employees can’t clock in. Email to the support desk has not been replied to. Beware! I use this app daily. It has saved me lots of money. In the past, as a contractor, my guys would drive directly to the job sites and keep their own times. Now, they text me when they arrive and leave the job. Has eliminated rounding to the next hour be the employee. Support has been great as well. Only had one sync problem between my Iphone and IPad. Developer solved that right away. November 2017...Just wanted to give an update on this app. I can’t say enough about the developer Jason and his quick and prompt response. Anytime and every time which are far and few between that I have a problem he is prompt to fix the issue within an hour or so. This app is probably the best 10 bucks I’ll spend every month. I run my payroll hours with it and it makes the job so much easier.